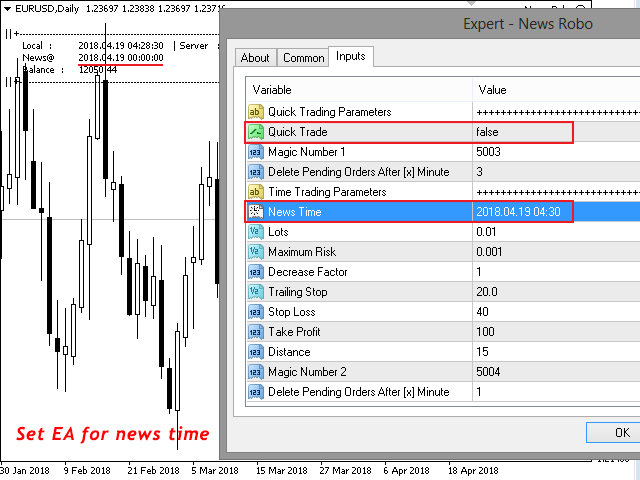 The News Robo Expert Advisor is designed for open pending orders at news times with the hidden stop loss. 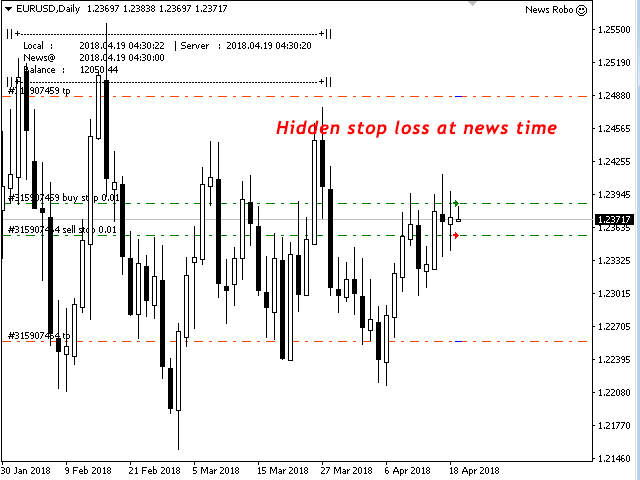 The hidden stop loss is a great technique for news traders who like to hide stop loss from market maker brokers. It is automatically shown when profit is gained, because it is moving to save your profits. When one order is triggered, the other one is automatically deleted. 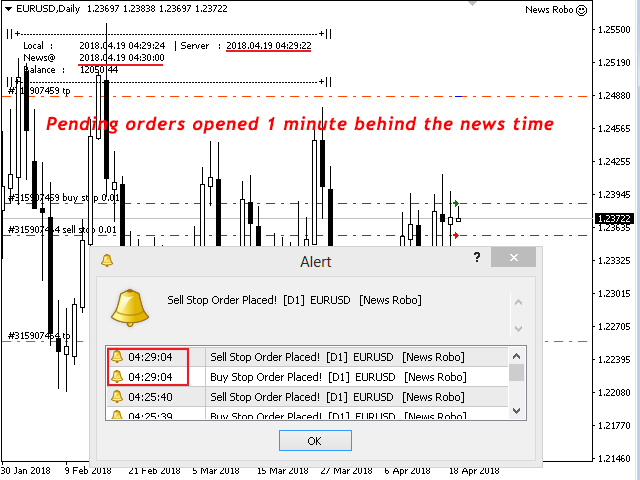 If there is no order open then all pending orders automatically deleted after [x] minute. It will simplify your trading life and protect from order false triggering when news data are released. 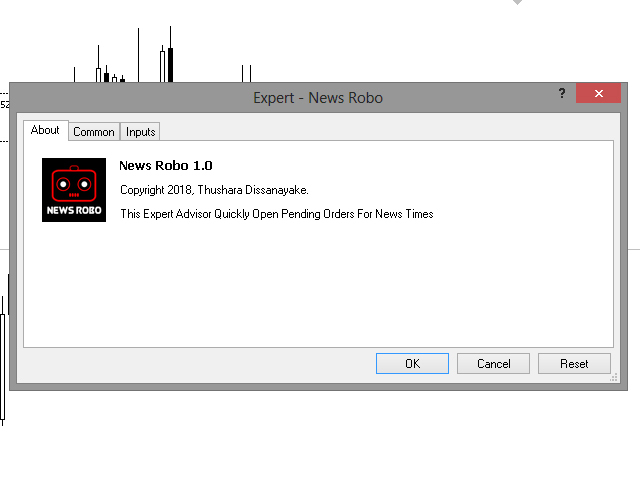 On the other hand, if you forgot to setup the news time, then you can simply open News Robo EA before 1-2 minute from the news time. The EA default settings will open two pending orders quickly. That's why you select News Robo EA as your reliable partner in progress. 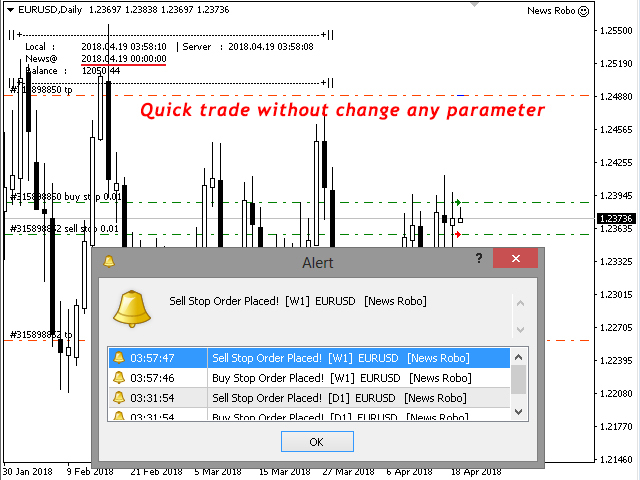 Two way to open pending orders (Quick Mode/ Time Mode). 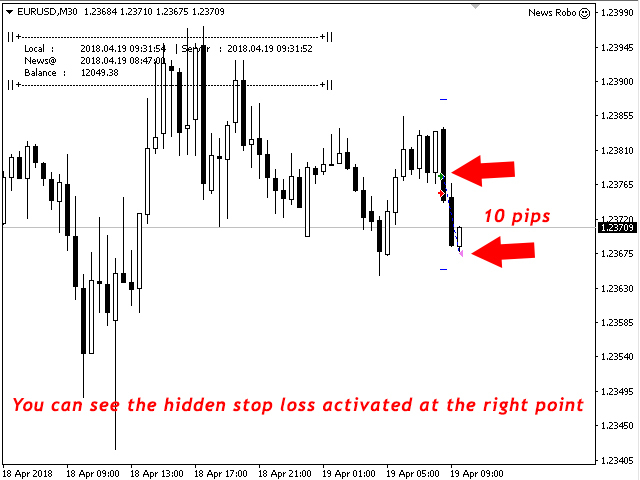 Hidden stop loss automatically moves to protect profit. No restrictions for open orders. 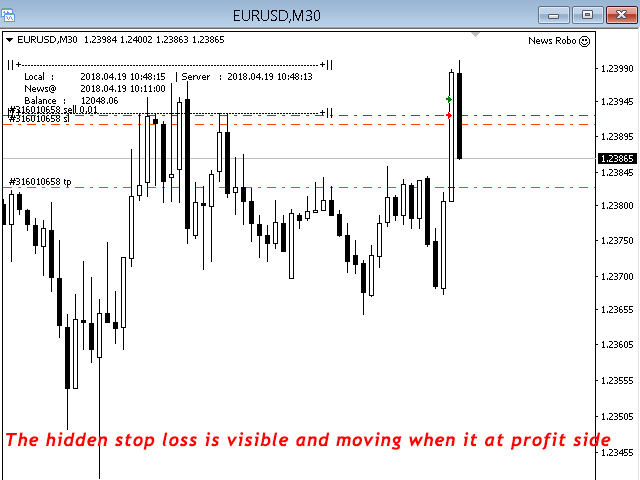 Other trades that were opened manually, by signals and EA's are secure due to our own Magic Number. Quick Trade - Enable/ Disable open pending orders when starting EA. Magic Number 1 - Number for each symbol window and trade type that you run the EA simultaneously. Delete Pending Orders After [x] Seconds - Delete pending orders after spend given Seconds. 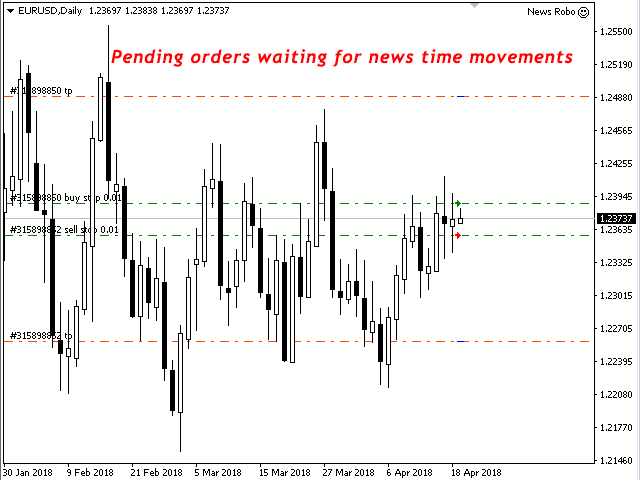 News Time - Time for open pending orders. Magic Number 2 - Number for each symbol window and trade type that you run the EA simultaneously. Set Pending Orders Before [x] Seconds - Place pending orders before some Seconds from the given News Time. 1. Now the EA can be launched multiple times without refreshing the chart.